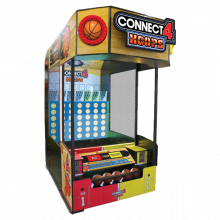 Installing today’s complex amusement games and card readers requires much more expertise than plugging the game into a wall outlet. There are dozens of pieces that must fall into place, and the game installation is only one of those pieces. There are permits, electrical considerations, and coordination with other vendors. For the games alone, there is transport, unloading, assembly, testing, sign-off and training. 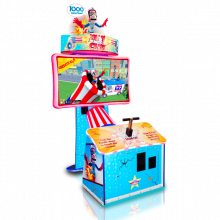 One of the benefits we can offer as a distributor for every major game manufacturer is the ability to consolidate equipment and do a one-time delivery of all your equipment. We also have the ability to prep your games in any of our office locations nationwide, ensuring your equipment is optimized before we deliver it. Our goal is to reduce the time on-site at your location by doing as much preparation in advance of the installation as possible. This helps to reduce any disruption to your business and help us get the game room up and running as quickly as possible. Consolidated transportation for a one-time delivery of all your equipment. 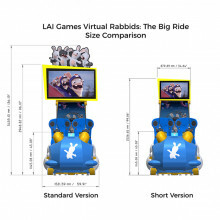 Adjusting the settings on each game to ensure proper ticketing and price per play. 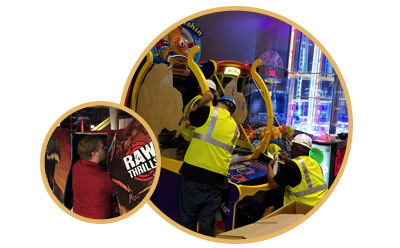 Pre-prepping and testing of games in one of our 14 locations prior to installation day to limit our on-site time in your establishment. On-site training and sign-off approval to make sure you have everything you need to maintain a functioning game room. Highly experienced technical team with key supervisor to facilitate your installation needs and requirements. Betson Technical University to provide additional training in the form of a two-day seminar. Follow all industry safety protocols on-site, including OSHA guidelines. Coordinate certifying your equipment with Underwriter Laboratories on request. Train you on the basic understanding of equipment functionality. Provide an on-site technician for your opening day. 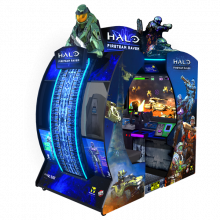 Possess the experience and skills needed to ensure the smoothest transition to owning a profitable game room.